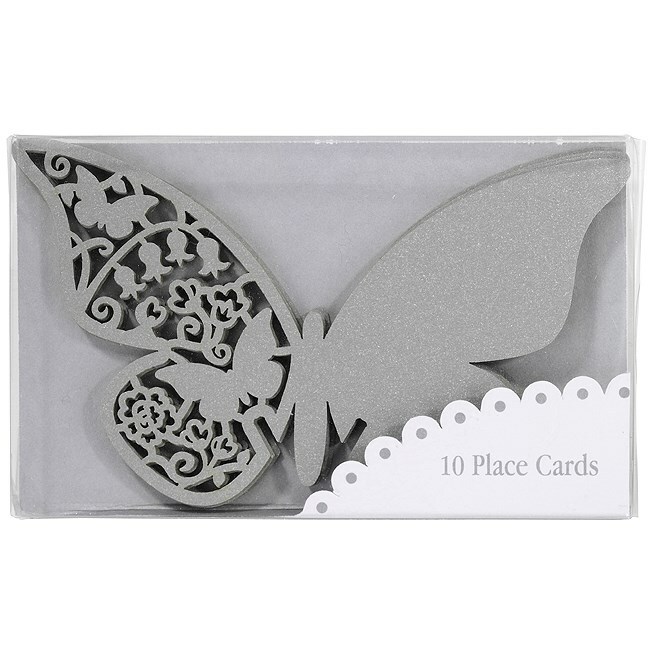 10 beautiful butterfly shaped place cards. One half of the butterfly has an elegant laser cut design and the other is left blank to write the name of your guest. Slot onto a glass for the perfect finishing touch at a place setting.